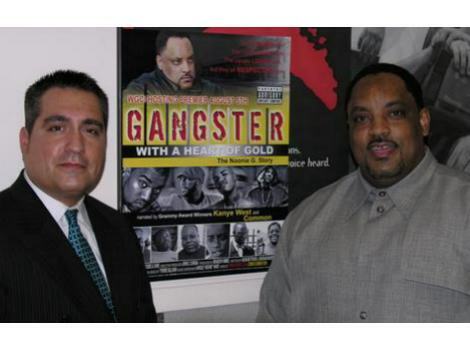 On January 8, 2007, Alberto sat down with famous Chicago Attorney Frank Avila, to outline the issues in his ward. Chicago 12th Ward has many concerns, please click here to watch video: http://video.google.com/videoplay?docid=-8077406760328235287 I am very happy the Aldermanic races include many fresh faces. Chicago Alderman a.k.a. “Ho’s” are fighting tooth and nail to kick political freshman off the ballot. Enjoy Issue Forum Chicago Clout series. Patrick McDonough. 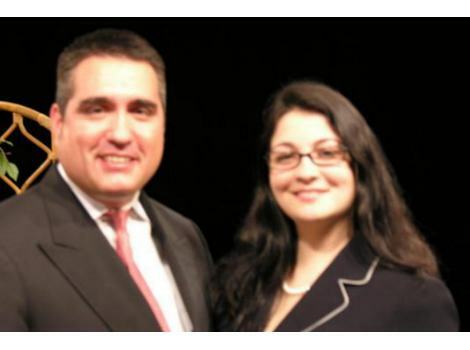 Frank Avila hosted “Election 2007” January 8, 2007. Mr. Avila’s guest was Mr. Jesse Granato, an Aldermanic Candidate for Chicago’s 26th Ward. Please watch video, click here: http://video.google.com/videoplay?docid=6624193167448518701 This is part of Issue Forum Chicago Clout. Please contact Jesse Granato at 1-312-316-6646, or visit his web site, click here: http://www.electgranato.com/index.html I hope all of you Chicago Political types contact us if you want your voice heard. Patrick McDonough. January 9, 2007. Thanks to Chicago’s Central District Hydrant Truck, water was supplied to this major fire. 1300 West Exchange. Also great leadership by Central District Assistant Superintendent Kavanaugh. Chicago Stockyard fire assisted by brave Chicago Water Department Heroes, John, Tyrone, John H. “Chief”, and Patrick “Deep Water” McDonough. Nice job, watch video, click here: http://www.nbc5.com/video/10707811/index.html Just another day for Department of Water Management Heroes. Also click here for Channel 7 report: http://abclocal.go.com/wls/story?section=local&id=4918517 Channel 2 News story, click here: http://cbs2chicago.com/topstories/local_story_009103456.html Patrick McDonough. 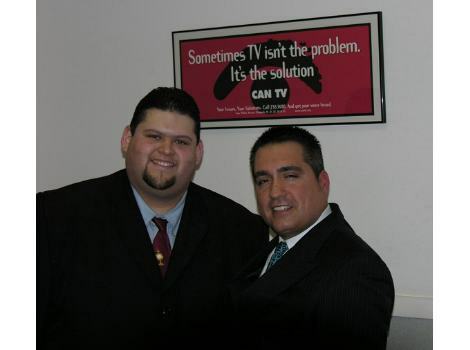 The series Election 2007 is hosted by Frank Avila a famous Chicago Attorney and Political Analyst. One of his guests on January 8, 2007 was Harold “Noonie” Ward. Harold is a Candidate for Chicago’s 9th Ward. Watch video, click here: http://video.google.com/videoplay?docid=-3699227825148479933 A movie named “Gangster with a Heart of Gold” is based on the Noonie G. Story. It was narrated by Kayne West and Common. Please contact Mr. Ward at 1-773-724-1805. Elect someone that knows what the problems are in the 9th Ward. Photo by Patrick MCDonough. Make sure to watch Salman Aftab as he is interviewed by Frank Avila, a famous Chicago Attorney and Political Analyst. 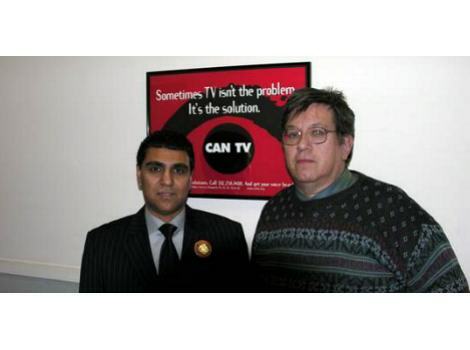 Pictured with Aftab is Mr. Randall Sherman a Chicago Political genius. Randall does not want Bernard Stone to be re-elected as Alderman Stone will, “Hand the 50th Ward to Stone’s daughter. Randall knows politics and this is a Chicago trend. Please watch these two videos if you live in Chicago and make sure to watch if you live in the Chicago’s 50th Ward. Video one, click here: http://video.google.com/videoplay?docid=4858943746435707484 Video two, click here: http://video.google.com/videoplay?docid=6573840191942834481 Well 50th Ward, at least Salman is giving his views. Photo by Patrick McDonough. Please see Chicago Channel 7 News, Click here: http://abclocal.go.com/wls/story?section=local&id=4914814 Alderman Troutman was nice to me and is an advocate for her ward. I hope and pray the FEDS spend more time on Mayor Daley and not this minor stuff. The City of Chicago is losing millions from shady contracts, let us get the big fish in the corruption pool. Patrick McDonough. Carina Sanchez Alderman of Chicago&apos;s 12 Ward? Yes! Not long ago, Alderman Joe Moore made a video with Frank Avila so his Ward could better know his view on the issues. 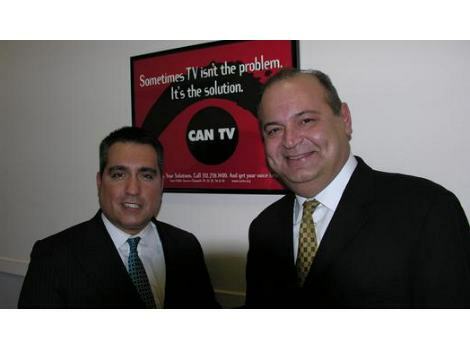 Frank Avila hosted Election 2007 a well known Chicago access cable show. I have spoke to Alderman Joe Moore for many years on many issues and he always returned my calls. 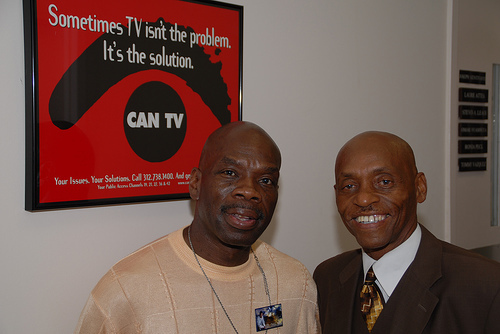 We spoke about his Whistleblowers laws and I featured him on this site during the Chicago Big-Box fight that garnered Mr. Moore with national news coverage. Alderman Moore is not afraid to mix it up with Mayor Daley and is not a rubber stamp. Chicago would have less corruption with more free thinking Alderman. Please click here to watch video http://video.google.com/videoplay?docid=-8118096040781085195 Patrick McDonough. 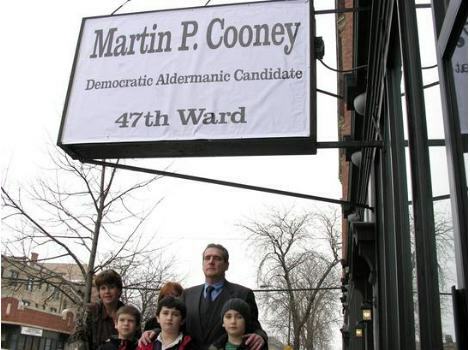 I brought my children to meet one of the most ethical choices for the Chicago’s 2007 Election cycle. I am asking all of my fellow Chicago City Workers in this Ward to work heart and soul for this candidate. Martin is a member of the Irish-American Heritage Center, runs a Union business, and is a tireless advocate of issues that matter the most to Chicagoan’s. This is a third generation businessman that has served our community for years with impeccable honesty and dignity. Also in picture, Patrick Jr. David and Michael McDonough. Photo by Patrick McDonough. Please watch this Video for information on the Mayor Daley Burge Torture case. Click here: http://video.google.com/videoplay?docid=8817816638316774747 Many of Chicago’s black youth were forced to admit to crimes they never committed. Wallace “Gator” Bradley was a Chicago Gang Member and turned his life around to become a “Urban Translator”. Many Chicago Black youth become gang members due to Mayor Daley’s lousy school system that stacks the deck against the children. Contact Gator at 1-312-371-6914 or e-mail him, click here: lagatorb4peace@yahoo.com The civil case of Aaron Patterson is handled by Chicago’s top Attorney, Frank Avila, also the host of the Issue Forum Chicago Clout series. Photo by Patrick McDonough.